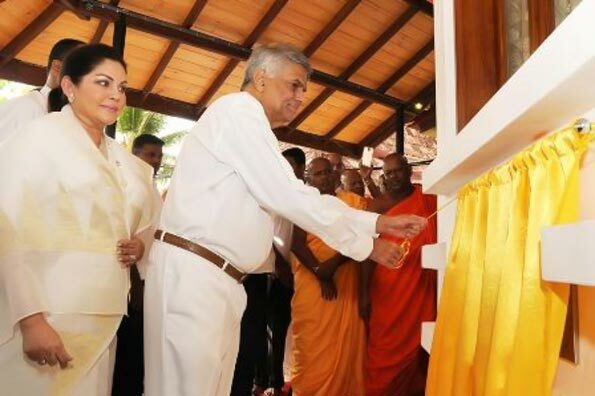 The war, which prevailed for the past 30 years in the country has now been finished and the country needs a new Constitution, said Prime Minster Ranil Wickremesinghe. He added that formulating a new Constitution cannot be done alone and it needs the support from each and every one. Prime Minister was addressing a religious event at Vivekaramaya in Gangodawila on Saturday (22nd Oct.). The six sub committees appointed on Fundamental Rights, Public services, Relations between Central Government, Provincial Council, and Local government, Law and Order, State of Emergency, Judiciary, and public money have already finalized their own reports. Once they submitted those reports, they will be presented to the Constitutional Assembly and thereby to the country. Then there will be an opportunity for public to comment of those reports. Elaborating on the Executive Presidency, the Premier said that if the Executive Presidency is abolished there must be stability in the new system. Otherwise the government would have to be changed every year. The war, which prevailed for the past 30 years in the country has been finished long time ago. But it is slowly emerging again. Thanks for this so called “yasa stupid palanaya.” We need a new goverment. Not this puppet regime.